Andre Dozzell won his first England U20s cap as the Young Lions drew 1-1 with the Czech Republic in an U20s Elite League match in Budejovice this evening, while Idris El Mizouni played his first game for Tunisia’s Olympic side. Dozzell, who returned to senior action for the Blues for the first time since the opening day of last season in the two games prior to the international break, started and played the first 80 minutes for Paul Simpson’s side. The 19-year-old, previously capped at U17, U18 and U19 levels, replaced team-mate Trevoh Chalobah in the England squad last week having initially joined up with the party just to train along with Flynn Downes. However, the on-loan Chelsea man was withdrawn due to a minor injury. The Blues academy product was an unused sub as the England youngsters beat Italy 2-1 in another Elite League game on Thursday. Town’s U18s assistant manager Kieron Dyer joined head coach Simpson’s staff last week and will continue to work with the former Carlisle, Preston and Shrewsbury boss at the next few training camps. El Mizouni played the first 79 minutes for Tunisia’s Olympic team - an U23s side - as they were beaten 2-0 by Italy in Vicenza. On Wednesday, the 18-year-old midfielder came on as a sub in a training game against domestic side Club Africain, winning the penalty which led to the decisive goal. 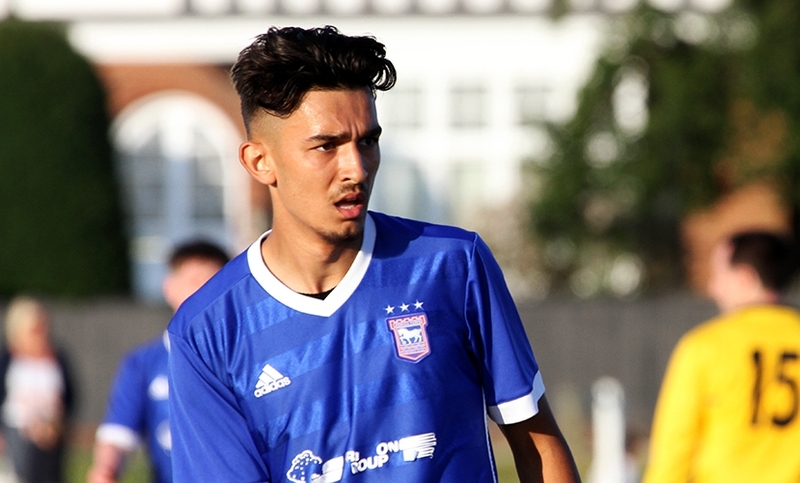 The academy youngster has made an impressive start to the season having broken into Town's U23s on the strength of his early displays for the U18s. France-born El Mizouni, who is with a Tunisia squad for the first time, qualifies via his father. All good stuff, more experience for our lads! 80 minutes. Great for Andre but I guess that puts him out of the running to start Saturday? Its funny how Dozzell's first start coincides with our first win?! Im pretty sure Idris El Mizouni must be close to making it in a match day squad at the very least. I have been reading in here of his great performances for the u18, us23s and now tunisisa u23s, we could have another real gem in him. And would El Mizouni be our first Tunisian international if and when he breaks into their first team?